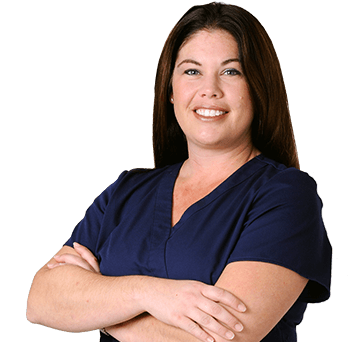 A board-certified family nurse practitioner, Jennifer has been practicing dermatology in Brevard County since 2009. Her approach to dermatology is patient focused and evidence based, always researching for the most current treatment modalities. Jennifer has a wide breadth of knowledge of all cosmetic injectables and enjoys passing her knowledge on to her patients. Jennifer received a bachelor of science in molecular biology and microbiology in 2001 from the University of Central Florida, followed by a bachelor of science in nursing in 2004. After practicing emergency nursing, she obtained a master of science in nursing from Florida State University in 2009. Jennifer enjoys many outdoor and physical activities, like boating, snorkeling, and CrossFit. She is a certified CrossFit instructor and volunteer coaches at a local facility. She also has a love for quilting, reading, and college football…GO NOLES! She is happily married to Luis and has two loving pups – a chocolate lab, Semi, and a rescue hound dog, Peanut.